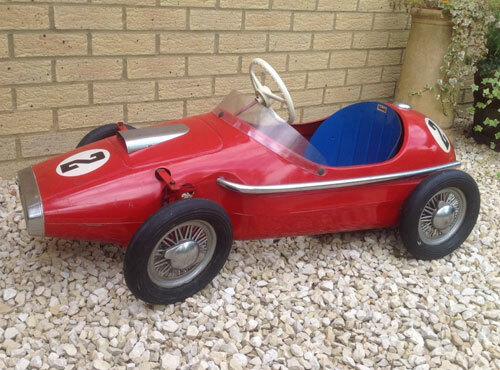 When it comes to pedal cars, this 1960s Vanwall Ferrari grand prix pedal car by Triang is something pretty special. 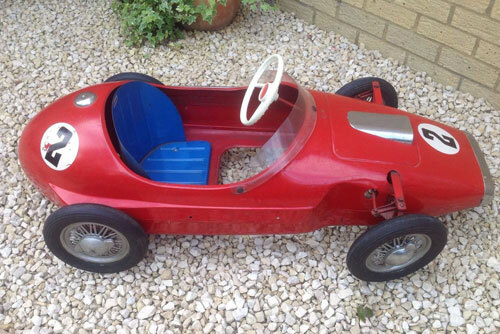 It has popped up on eBay in more or less original condition, albeit with some wear from use in the 50+ years of play. But it is complete, with the steering wheel, types, exhaust, spinners, grill and paint job surviving all those years of ‘driving’ pretty well. The design, well it goes without saying that it is stunning and so of its era. 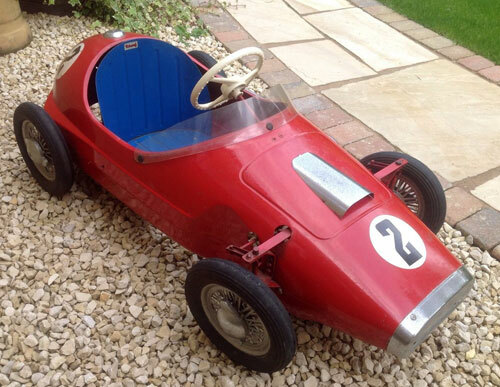 It is also ‘very rare’ according to the seller, so if you want one of your children to be the next owner, you will need to dig deep. £1,250 is the ‘buy it now’ price, with the option to make a cheaper offer if you prefer.